Hope you are fine and will return safely to us soon! I hope you have as fun a day as I am ...um...STILL...having....and many happy returns!!!!! so is hoping there will be some 1976 Vintage Champagne left after your party!!!!!! happy birthday, gratulerer med dagen, herzlichen Glückwunsch zum Geburtstag and have a nice day! ... and congratulations on yet another year in your big book! To all past birthdays: Congratulations!!!! Congratulations to you, and may you have a nice day!! Lot's of Birthdays to remember in this big family! 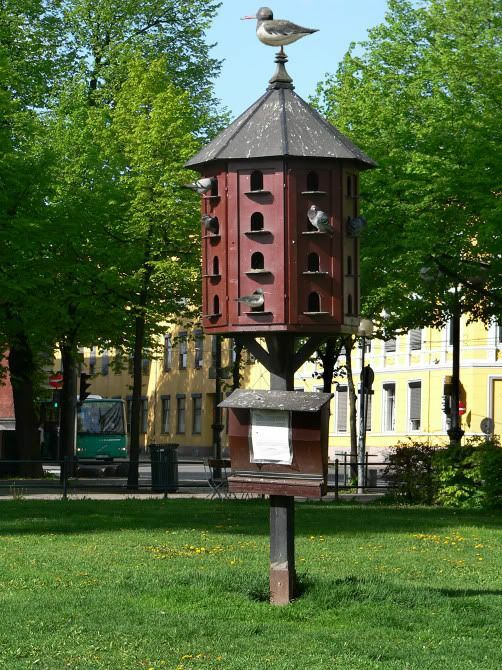 Appropriate hotel accommodation has been arranged in Oslo for Seagull and friends to attend Oistein’s Birthday Celebrations ! A very happy birthday to you Oistein! Hope you have a FABULOUS DAY!!!!! Today it's the last day on job before this years vacation. To morrow I will pack my suitcase and Thursday morning I head for Miami and 14 days on cruise. -after that more vacation at home. Next workday this year will be first day of Christmas. Wow! That sounds like a very well-timed birthday present to yourself! Have a wonderful cruise holiday, and I look forward to hearing all about your trip in due course! Happy travels! To day we celebrate our dear member 'Ombugge'!!!! Being far east, I guess he's been celebrating for a few hours...., so; have a further nice day and evening, Ombugge! !